Konami could be hoping to freak out multiple players at the same time in a future version of Silent Hill. 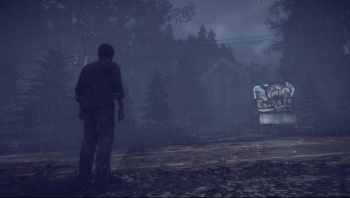 In a recent issue of Xbox 360 Magazine Italy, Vatra Games' Art Director for Silent Hill: Downpour Radek Marek has reportedly revealed a new direction the series may take in the future. According to a translation of an article posted in the Hell Descent forums, Konami is looking to create a multiplayer version of the traditionally single-player Silent Hill. Marek said that there definitely won't be a multiplayer component in Downpour, the 8th game in the Silent Hill series that will use water to horrify a prison inmate on the loose. However, he didn't rule it out when it comes to the series in general. "At the moment there will be no multiplayer modes in Silent Hill: Downpour, but Konami are investigating a separate chapter devoted entirely to the multiplayer," Marek said. "We do not know the details but it should be an XBLA title where players have to survive in the town of Silent Hill." The language used isn't clear, so this could be a multiplayer DLC chapter, or a separate XBLA game. Silent Hill has typically been about running around terrifying environments solo while getting the bejeezus scared out of you by monsters with pyramids on their heads. If it did go multiplayer, the game could be similar to what Capcom did with the multiplayer version of Resident Evil in the PS2's Resident Evil: Outbreak, though Silent Hill's version could be more successful now that the current generation of consoles feature built-in online connectivity. Konami could also be turning it into a top-down twin stick shooter for all we know, or might not be working on anything at all. Update: Silent Hill: Downpour producer Devin Shatsky responded to the rumor on the HellDescent forums, saying that Radek's comment was either taken out of context or lost in translation. According to Shatsky, there is no Silent Hill multiplayer XBLA game or DLC currently in development. It was under investigation, but scrapped due to cost concerns.